I purchased a lifetime license for the Macbook version...downloaded the iOS app and it's requesting a license. Do I need to purchase a license on both to have all the features or am I missing a step to activate the iOS app with an already purchased MacOS license? as soon as you connect to a licensed BTT, BTT Remote will unlock all functionality. I am having this exact issue. 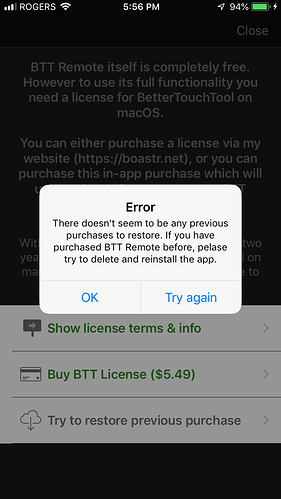 I Bought BTT on Mac OS (version 2.717) and then clicked the license file and get a prompt saying "this copy of BTT is now licensed " … I went to my ios devices and downloaded BTT remote but for some reason can't get it to recognize my purchase. 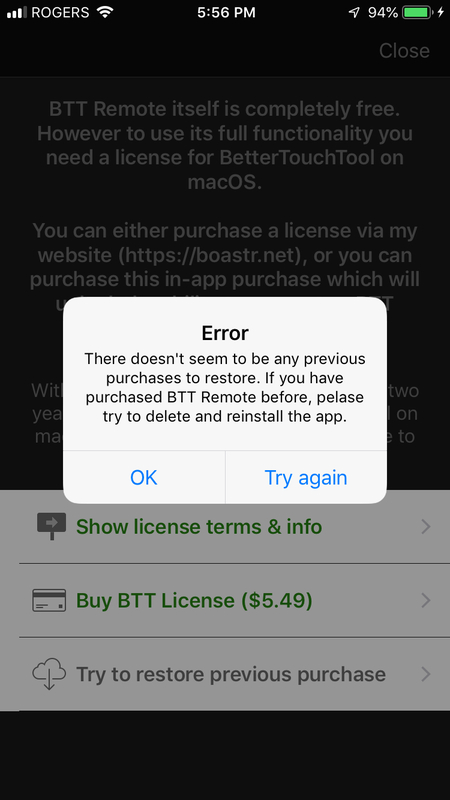 BTT on my ipad and iphone can recognize my macbook but when I click to restore the license on ios I get the screenshot (below) .. I did re-install the app on ios and restarted all devices. not sure how to troubleshoot next. I also tried giving BTT on mac OS full disk access (and of course had accessibility options toggled on) .. help please. thanks! and on a side note really amazing job with the app. 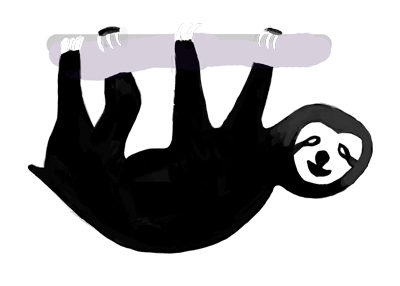 its really well done. 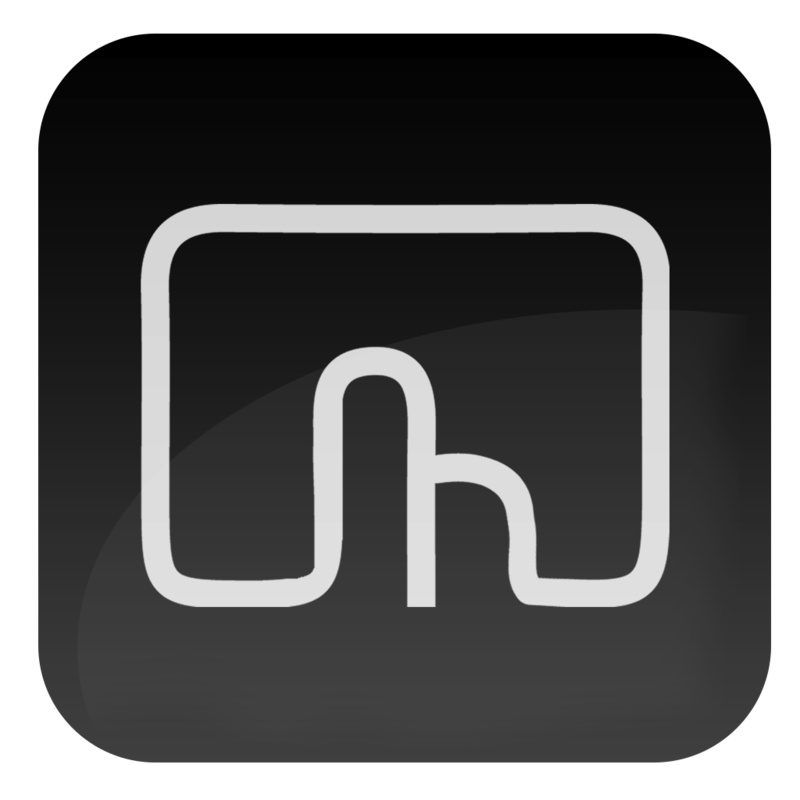 if BetterTouchTool is licensed you don't need to restore a license for BTT Remote. It willl automatically unlock everything when connecting to a licensed BTT.